RVP Charters is your premier minibus, motor coach & charter bus rental company servicing Chicago, Illinois. Whether you're headed in for a corporate event, wedding, sporting event, school event, or other private affair, we've got you covered. Chicago is the third largest city in the USA and it has lots of attractions on offer for the tourists. Let RVP Tours be your partner during this holiday trip for a perfect and hassle-free time with your friends, colleagues or family. The annual attractions in this city include the water show, air show and Lollapalooza. You will be able to see a never-ending energy in this city, but it may be too hectic for you to travel around as a guest. 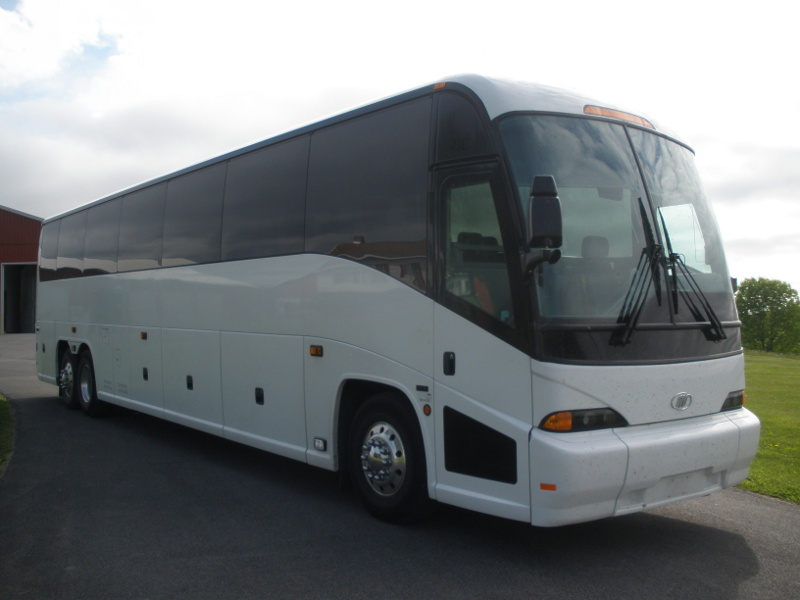 Manage things in a simple manner with the RVP Tours charter buses. Since Chicago is a very big and busy city you can very well imagine the hectic condition of roads and traffic. When you are travelling in a new city you would not want to lose any time while seeing attractions, wedding or business meetings. Travelling with the help of public transport is a bad idea when in a group. RVP Tours will help you travel easily and safely in this city. Renting a bus is a good and affordable solution for a group that is exploring this city. RVP Tours has amazing deals on offer for its guests. We provide the very best customer service all over the USA. Even if you want a last minute bus charter service we will help you with the same and provide you with a bus within 2 hours of your booking. You can call in and talk to the reservation experts for the best service. If you want to spend quality time with the group you are travelling then hiring a bus service for your travel period is the best idea. Be it a college or school trip, corporate event, family reunion or even a wedding. Travelling in a bus is always fun together, especially when the bus is fully modernized and has all the best amenities on offer like DVD players, Television, Music System, climate control ACs, recliner seats, WiFi etc. When you have a large group travelling together, it can be a real pain to coordinate the cars and use rideshare apps for everyone. If you are visiting a new city, then you would want to stick together for the fear of getting lost. But cars can only fit a few members of the group. You do not need to ask other members of your group to take their cars and drive throughout the holiday too when you book a bus with us. Chartering a bus is the best solution for group travelling because you can stay together all the time and you do not need to worry about driving, navigation, parking, traffic, gas, toll stations and so much more. We will always have you covered. Bus charters for a group is a better idea because when you arrive in your destination city the whole group will be well rested aboard the bus and ready for the day ahead. There are plenty of amenities to keep you recharged and rested on board like recliner seats, folding armrests, climate control ACs, restrooms, extra legroom, luxurious seats, charging points, DVD Players, television, over head bins, separate luggage area and much more. All these amenities mean that you can play games, watch TV, chat and sleep and do much more while aboard the bus. Chartering a bus also means that you can easily take overnight trips. RVP Tours only works with expert and experienced drivers for the safety and comfort of the members. All our drivers have a good knowledge about the city roads, navigation, traffic, toll stations, etc,. During your journey you will not have to get worried about weather or any such things as the driver will be ready to face all the problems and fulfil your group’s requirements. The success of a corporate event is vital for many organizations out there. Be it in relation to the display of products and services of the company or socializing such events will only be successful if you have proper shuttle services on the go. With RVP Tours by your side success of such events can be a reality. In a group trip, arriving at the same time and safely is absolutely important. If your group travels in the RVP Tours charter bus, then rest assured everyone will reach on time at the event venue. Time is more valuable to companies and our expert drivers understanding this need. They know the most efficient routes for travelling and hence are able to avoid any potential delay at all. The premium amenities are available in all the buses, whether you take one bus or a fleet from us. We do undertake last minute bookings as well. If you have a last minute presentation or meeting, you can do that on board the bus all the electrical facilities available with free WiFi. When you arrive at the event with your group members, you would be ready to take on the world! You will enjoy the bus ride to your destination because we only employ experienced and qualified drivers for the task. They know the navigation, traffic, tolls, parking and the best route to the venue. There is a large and separate luggage area provided on the bus for keeping large equipments like projectors and easels etc. If you wish to host the best wedding, then it can be really stressful to handle all the tasks by yourself. If you give the transportation worries to RVP Tours then your stress will definitely lower down a little. Many people think that charter buses are a luxury but on the other hand they are simple and affordable means to keep your wedding organized and guests together. We can set simple shuttle services between hotel, wedding venue and reception venue to make things work smoothly and fast. You can indeed simplify the wedding days by avoiding the concern of guests driving themselves to the wedding venue. This is because timings for the weddings are strict and if your guests travel together to the wedding venue then there will certainly be no delays. Now if you are planning to take a wedding photo with your guests at a different place altogether before the reception party then travelling together by bus is ideal because during the photo shoot you will not have to wait for people to park their vehicles and come. If you rent a bus for your group trip, then you will not only ensure the safety of your group members but also their comfort. All of you can rest and relax, leaving the travelling logistics to the expert driver. When you reach your destination you will be ready and refreshed after a long journey. All the buses at RVP Tours are modernized completely with new amenities like WiFi, recliner seats, plush upholstery, folding armrests, electrical charging stations, DVD Players, television and much more. These are a few things that your guests will note and appreciate you for the arrangement. Candid selfies and groupfies are the rage these days and you must keep them going to let the world know more about your road trip. These will only be possible with properly charged phones. You can ask for travel chargers on board and electrical points. Do you love to watch your favorite team play live then form a group and pack your bags then it’s time to sit in the stadium and shout your lungs out for your favorite team in style. Let RVP Tours be your transportation partner as you pack your snacks and cooking supplies, tailgating equipments, posters, etc,. chartering a bus is the best option to keep your group together with the luggage. Chicago is the main city for most of the business convention. It also attracts people from all over the world. If you are travelling as a group then public transportation in this big city can turn a nightmare and it is also not very comfortable. Bus journeys are pleasant and less stressing. 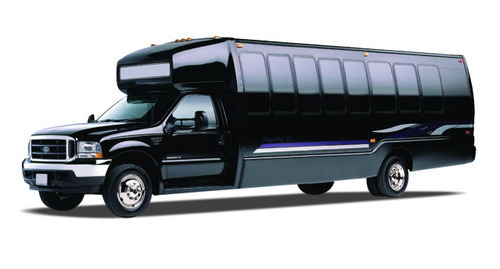 We recommend charter bus service for your group for the best transportation across the city. 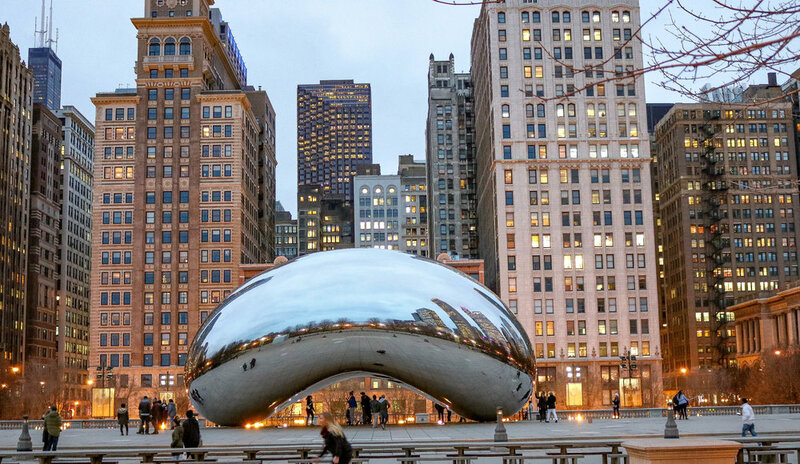 Buildings: As a tourist you must visit Aon Center, Hyde Park, Kenwood, Trump Tower, Oak Park, Willis Tower, Rogers Park and buildings in The Loop. Colorful neighborhoods: Chinatown, Little Italy, Polish Village, Seoul Drive etc. are some places that are a must visit for the tourists. 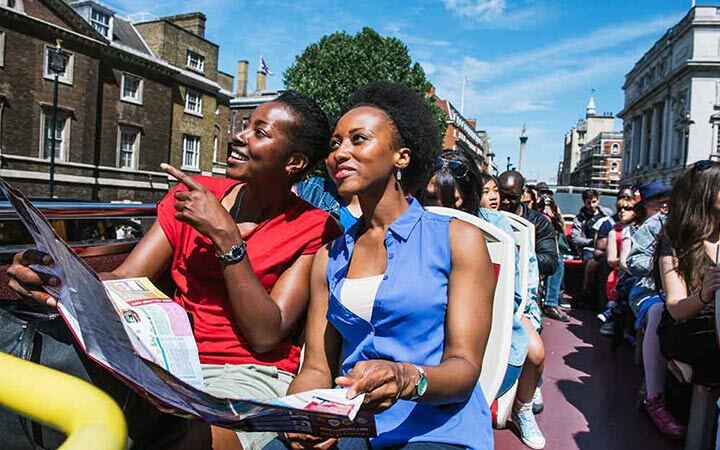 You will be able to experience the beauty of different cultures all in one city. Festivals: Many people visit this city for different festivals like Jazz Fest, Lollapalooza, Taste of Chicago and Blues Fest and so on. If you are one of them, then you will really have to plan ahead as the tickets for these festivals are booked early. If you want to travel peacefully, then chartering a bus is the only great option with a group. RVP Tours has the best customer service and we serve across the USA for weddings, corporate events, family and friend’s reunion, school and college trips.